CHARLESTON, SC -- Donald Trump has sparked the anger of one of the relatives of the three Muslim students gunned down a little more than a year ago in Chapel Hill. Trump's remarks at a rally in Charleston, S.C., on Friday where he shared an anecdote (which almost certainly is an urban legend) about Gen, John Pershing executing captured terrorists dipped in pig's blood raised the ire of Suzanne Barakat, the sister of Deah Barakat, one of the three students fatally shot, apparently by a neighbor. Barakat tweeted at Trump to meet her in person and tell her that her brother, his wife and his wife's sister, all bright young people with promising futures, deserved the bullets. At the time of the killings, Deah Barakat, 23, and Yusor Abu Salha, 21, were newlyweds, just married that December. 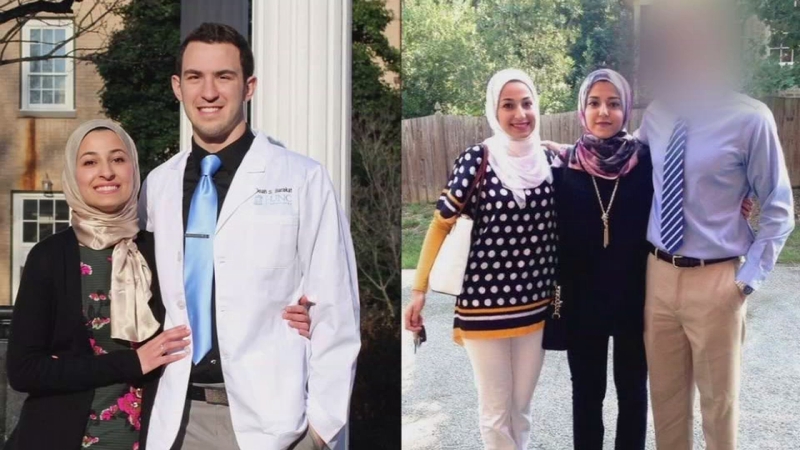 Barakat was enrolled at the UNC School of Dentistry and his wife had just completed her biology degree at NC State and planned to begin her dental studies at UNC. Yusor's sister, Razan Abu Salha, 19, attended NC State and was studying architecture and environmental design. She was visiting her sister and brother-in-law at their condo when the shooting happened Feb. 10, 2015. A day later, a neighbor was charged with the murders. Craig Stephen Hicks has been sitting in jail ever since awaiting trial on the three first-degree murder charges. 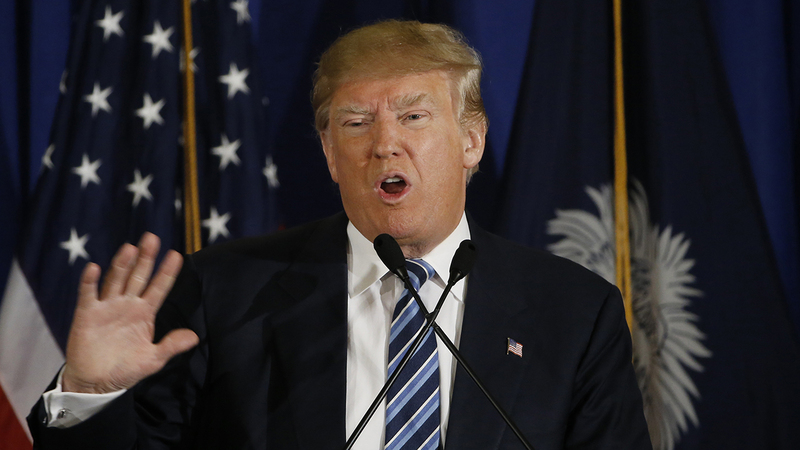 Trump, who won the South Carolina primary Saturday, has not responded to Barakat.